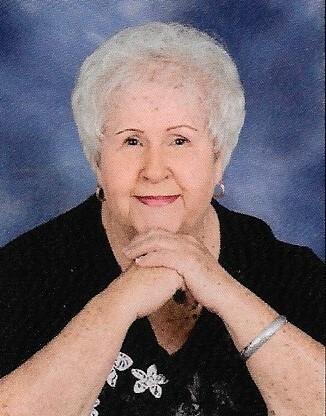 Linda Mae Ketchie Allmon, 78, of Statesville, passed into her eternal home on Sunday, March 24, 2019. She was born in Iredell County on June 12, 1940 to James Frank “Bill” Ketchie and Louise Jones Ketchie. She graduated from Statesville High School and attended Catawba College. She was employed by Spainhour Company for 23 years. She later moved to Salisbury, NC and worked for the Rowan County Department of Social Services for 20 years. She moved back to Statesville to care for her father. Linda was preceded in death by her parents, her sister Debra and brother-in-law, Ronald Weatherman. She is survived by three sisters, Nan Weatherman, Pat Johnson (Tommy), Billie Furches; eight nieces and nephews and nine great nieces and nephews. She was fortunate to have a host of friends who loved and cared for her. Thank you to all who loved her so much. Linda was a very outgoing person, full of humor and love for everyone she met. She was the first president of Stagefront Music Theatre and was active in Stagefront Little Theater. She was also a past president of the McDowell Music Club. She was well known for her stage performance in many musicals and her lovely voice. Theater and performing was her love in life. Linda was active at Forest Park Presbyterian Church, having taught Sunday School and was a member of the adult choir. She was also a member of the ladies Sunday School Class. She was an active member of Neel Road Baptist Church in Salisbury prior to returning to Statesville. She cherished the friendships she had there. A celebration of her life will be held at Forest Park Presbyterian Church on Wednesday, March 27, 2019 at 11:00 am with Rev. Scott Jeffreys officiating. The family will speak with friends following the service. A private family burial will be held at a later date. Troutman Funeral Home is serving the family of Linda Allmon.